Location: As Pontes de García Rodríguez (A Coruña). Opening session: Wednesday, 5th July at 7 p.m. Casa Dopeso Auditorium. Sunday 9th July: Guided tour of Fragas do Eume Old-Growth Forest and the Monastery of Caaveiro, including a visit to the hydroelectric power stations of Eume and Ventureira. This section will focus on physical and morphological alterations to territory resulting from industrial sectors such as mining, metal, energy, chemical, textile, consumer goods and infrastructures. The aim is to provide an explanation for each of the various phases of industrialization within their spatial and time contexts. This area seeks to highlight private or public integral and palliative initiatives aimed at limiting or eradicating the negative environmental impact of economic activity. 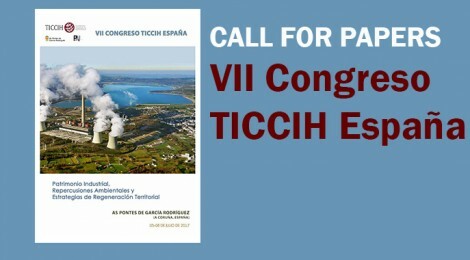 Aspects for consideration include the role of industrial heritage in regeneration processes, legislation, environmentalism, artistic interventions on the built and environmental heritage and infrastructures and new theoretical approaches to possible corrective measures and the adaptive reuse of industrial heritage. This section will focus on the multi-dimensional aspects of the landscapes of industrialization, including: morphological, perceptive, scale, location, interpretative and conservation considerations. The focus will be on good practices and case studies of landscape activation that provide an insight into the current relationship between private enterprise, public administrations and patrimonial theory. This area will pay special attention to the new cultural practices in industrial tourism (culture parks, routes and museums). Further aspects for analysis will include the training of experts and the creation of tourism companies capable of effectively promoting this sector. The key aim is to determine the relationship between the deactivated industrial heritage and factory tours as an alternative form of tourism, based on innovative, specific and educational projects targeting students and the general public, stemming from initiatives applied by education authorities and associations, designed to promote and raise awareness of our industrial heritage.